In the hospitality industry, creating a welcoming environment plays a major part in the success of your business. For this reason, you need to find ways to stand out and make a statement. Each person that walks into your establishment should pause for a moment just to look around and be amazed at the unique interior design you’ve created. While that sounds wonderful, actually creating a design that meets those standards is much harder than it sounds. You need the help of a professional designer to take your ideas and turn them into a fully functional design that works for your business. It takes experience to pull the look together and make a good impression that will capture the interest of today’s consumers. Our experts here at J, Design Group has the experience needed to combine all design elements together, to create an inviting interior that will set you apart from the competitors. Professional designers already know what works well together and what don’t, so you’ll never have to replace your furnishings because it clashes with each other, the flooring or the wall color. They can help you avoid making common interior design mistakes that will end up costing you time and money later. They do all the work for you so you can concentrate on your business instead of the project, which allows you to keep your company running smoothly. They have connections with contractors and suppliers they’ve worked with in the past, so they know where to get the best deals on the items you need. 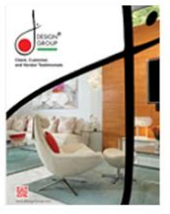 Professional designers have spent years studying interior design and they are familiar with all the latest technology. A good interior design will also be more comfortable and inviting so it helps to increase business, which will ultimately increase sales. The hospitality industry is very competitive. You can’t afford to make mistakes especially when it comes to the image you portray to your customers. You need a comfortable but efficient design so your customers only see a well-organized and competent staff handling their needs. To make this happen you need a good interior design that is functional and attractive. Our professional designers have years of experience designing restaurants and hotels so we can anticipate your needs. We know how to make your lobby or dining area more comfortable and your kitchens more efficient. We can create the right ambiance to complement the food you serve and achieve a cohesive design that is original, interesting and fully functional. Professionals have the training and resources to make a difference that will help your business grow and thrive.